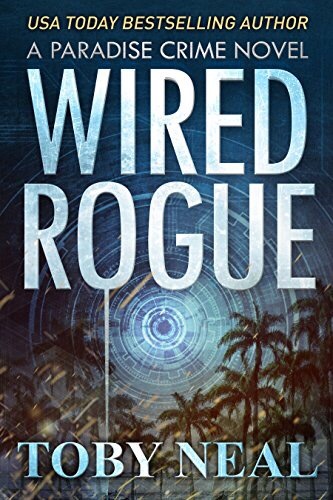 Wired Rogue by Toby Neal is like combing a thriller from Brenda Novak and the Bourne Series onto one compelling read. The danger was intense. The operations were realistic and the characters were amazing. An unknown enemy sent shivers down my spine. This tale was centered on a cult that used children. I felt frustrated and sad. The bad characters were real dirt bags. I haven’t read the previous novel before this one, but it was easy to follow. I understood what was happening and why. The main character, Sophie Ang, is super cool. She’s the woman every man wants on his team. Her skills are frightening good, yet she still manages to get injured several times throughout the book. There are moments her partner, Jake Dunn, thought she would die on him. I almost thought so too. But somehow fate, let her survive. Sophie Ang is a leading protagonist that readers will admire. Despite her obstacles and the number of times she could have died, she keeps on working. Toby Neal has brilliantly created a thriller suspense. One that I won’t be forgetting. This story ends in a way that has me excited for what is to come. Sophia Ang and Jake Dunn have more work ahead…or at least I hope so. I have come to love these heroes. Wired Rogue is indeed a great title for this rough yet deadly plot. Fast-paced, mysterious, and a whole lot of action. Every page is thrilling to read. I couldn’t stop once, I started it. Never a dull moment inside Wired Rogue. Overall, I highly recommend this powerful novel to all.